Sufficient detail of the agreement made at Chequers on Friday has now emerged to make some sort of preliminary judgement. It is looking as if the offer that the government will make to the European Union will involve some sort of fudged trade deal which will involve continued EU jurisdiction over large chunks of our lives. The sovereignty of the United Kingdom will be bargained away in exchange for very little. More than a quarter of the public would be less likely to support the Conservative Party if a deal meant that the EU retained some or substantial control of the UK’s ability to negotiate our own free trade agreements, whilst only one in ten would be more likely to back the party. It is fair to say that I have always been highly sceptical of the amount of credence we should attach to opinion polls, primarily because of their small sample sizes. However, this poll gives us an initial predictive measure of the willingness of Conservative voters to change their allegiance in the event of Brexit In Name Only (BRINO). Overall, this suggests that between about 25% to 35% of Conservative voters would consider changing their vote. This is a very large percentage and reflects the concern felt by many conservatives at the prospect of a bad deal. There are three broad options which disaffected Conservative voters have. The first is to withhold their vote by not voting at all or by voting for a very minor party such as the Monster Raving Loony Party. This simply reduces the majority of the Conservative candidate by the number of voters who have withheld their votes from him or her. The second option is for the voters to use their vote in the most destructive way possible to punish the Conservatives, by placing that vote with the biggest of the other parties. In the case of England, this is usually the Labour Party. By removing their votes from one party, and depositing that same vote with its nearest rivals, the voter has actually doubled the effectiveness of their single vote. This is why voters who are disgruntled with their usual party can be devastating by voting tactically. This is what happened in the 1997 General Election when Conservative voters transferred their votes to Labour and the Conservatives lost 171 seats. This model is very simple but allows for many possibilities in between the two extremes. It does not take into account of the fate of other parties. A range of possibilities can be envisaged in which a Labour government reigns supreme for a generation or more. On the other hand, UKIP and the Liberal Democrats could do relatively well and split both Labour and Conservative votes, leading to chaos in the two-party system we have been used to and some very un-British coalitions. But the take-home message of this graph is that if the BMG opinion poll is anything like a genuine indicator of conservative voter intentions, the Conservatives could lose between 129 and 260 seats. The worst-case scenario would produce a Parliamentary Conservative party of a mere 55 MPs. In this event, the Conservatives would be out of office for thirty years. My previous estimate of losses between 30 and 90 Conservative MPs looks optimistic by comparison. Of course, there is a rescue model which could not only save the Conservative Party in Westminster from political oblivion, but even increase their majority. That option requires that the Parliamentary party discovers a spine for itself, beats some sense into the Remainer MPs who cannot see beyond their own stubborn, self-interested noses, and precipitates a leadership election to remove Theresa May from office. Her replacement must be a leader who delivers the only form of Brexit which is now possible – that of the ‘no agreement, WTO option’. It is time for those letters to go in to Graham Brady, the Chairman of the 1922 Committee. 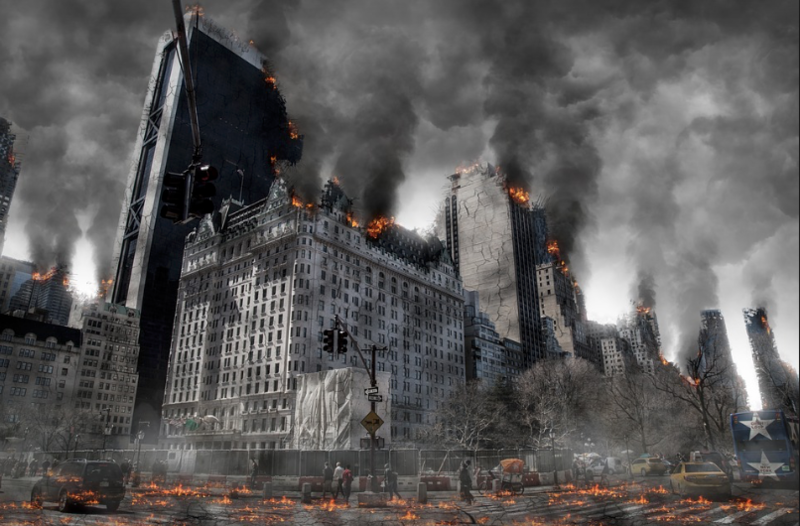 Previous Conservative Apocalypse? – Part 2, the Schedules. I’m trying hard to ignore the media hype/spin/Laura & Nicks ‘opinions’ & wait for actual results, but its getting harder to do. The best Brexiters can hope for is a two fingered salute from Barnier & his mates, and Mrs May strapping on a large pair of cojones & walking away. What concerns me is May went to Brussels and Germany in the last week and shared her capitulation with them before sharing it with the cabinet. This is very, very concerning. I cannot think of anyone except possibly Blair who has consulted the head of a foreign power before her own cabinet. Yes, you are right to be cautious and look at the small print when it is available. Hopefully, we will get all get a look at it. But the fact is that May has blown nearly all of the trust invested in her by the public, and no-one believes anything she says anymore. Well… Peter Bone said in the House (I believe) that his constituency chairman contacted him and said that his constituency party will no longer campaign on behalf of the Conservative Party. Theresa May dismissed this with scorn. They are losing members to UKIP as well. UKIP hoped to be back to 25,000 members by the end of this year. They surpassed that and are already nearly 40,000 strong.